Hence, the goal is to communicate best practices and tutorials, sessions that can be used right away in the field. No marketing or ads, just real-life SharePoint 2010 usage scenarios. Microsoft is supporting the conference as platinum sponsor, among many other sponsors. 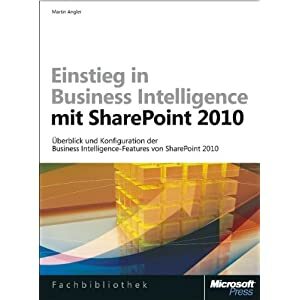 My session has been placed in the “Management” track and is called “Einstieg in Business Intelligence mit SharePoint 2010”. It will deal with the configuration of PerformancePoint Services and the creation of BI content using Dashboard Designer. It’s a great honor to speak alongside with gurus such as Thorsten Hans, Dux Raymond Sy, Christian Glessner Michael Greth, Samuel Zürcher (who organises the Collaboration Days) and many many more! The conference takes place at the KKL Luzern (CH). Check out the official information at www.collaborationdays.ch. Hope to meet many of you there!